Hi everyone it’s Cindy again! For this creation I decided to change things up, and instead of a scrapbook layout, I made an altered project. 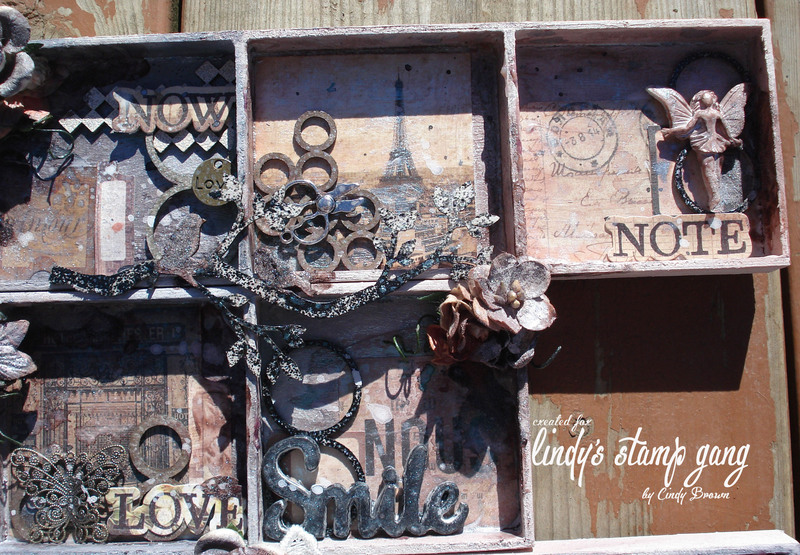 I used my favorite products: Lindy’s Stamp Gang! For this project, I used a lot layers. I really loved adding all the embellishments and textures. First, I put gesso all over my wooden boxes. Then, I got to create my background using sprays from the October Limited Edition Set . I dried and repeated the spraying process process several times, until I got the depth I wanted. I love how you can layer the sprays to create either more intense, or less intense shades with the same colors! After doing this, I sprinkled a bit of some Magicals in a a few random places, and activated the product by adding a bit of water. I really like the effect it gives to the surface I do that on. 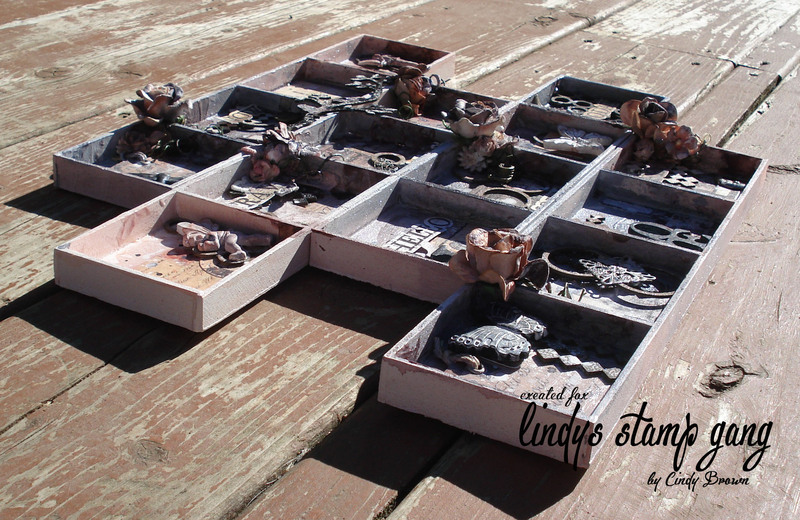 I put different kinds of embellishments on this project: metal, resin and paper. 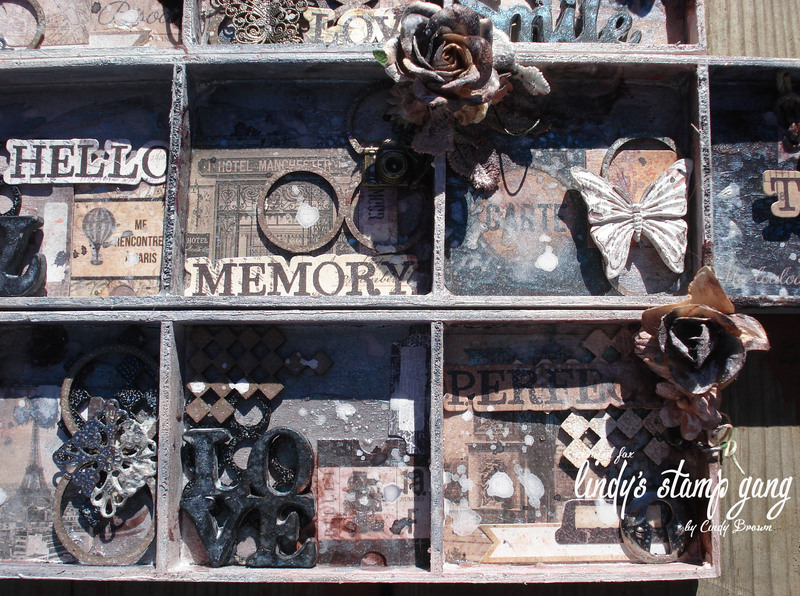 I added chipboard which I covered with embossing powder and flowers. 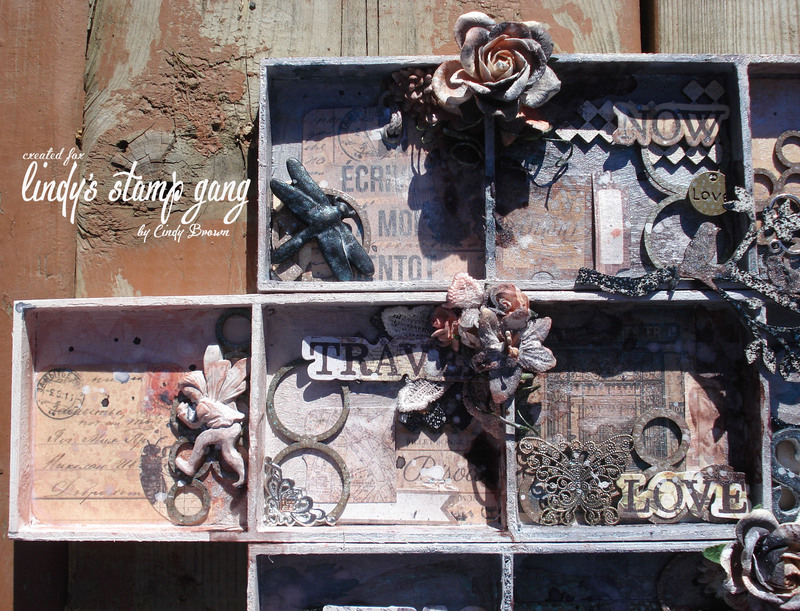 I once again played with sprays and Magicals to make different textures on my embellishments. This was a fun project to make, and I hope you were inspired to make one of your own to display in your house. Check out my video below on how it came together. Thank you for stopping by!